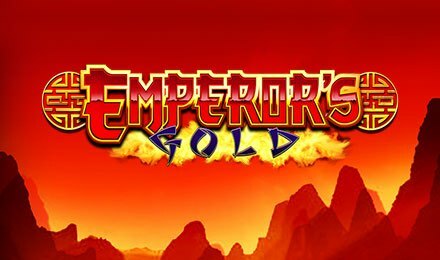 Emperor’s Gold slot is a 5-reel ad 10 payline slot game powered by Scientific Games! Experience East Asia at its best on these 5 reels and 10 payline slot game, that come built with high definition graphics and amazing sound effects! On the reels, come across symbols like: Emperors, Empresses, Pandas, Temples, Tigers, Lanterns and low value cards. Start playing Emperor’s Gold slot by first adjusting your stakes on the Stake/Line Field. After that, click the “Start” button to get your reels spinning. The Autoplay option is available, and allows you to set the game to play by itself with a number of automated spins. Bet Levels: Bet levels not valid. Coin Values: Stake values range from the lowest amount of £0.10 to the highest amount of £500.00. The Dragon takes form of the wild, which substitutes for all other symbols, except the scatter. This symbol appears only on the three middle reels. The scatter symbol is the Firecracker, which triggers the bonus round of Emperor’s Gold slot. Land three, four or five scatter symbols anywhere on the reels and receive 12, 14 or 20 free spins respectively. More scatters landed during the feature retriggers the bonus and awards extra spins. Wilds landed during the feature improve your chances of winning by far! Big Bet Mode consists of five linked spins that come with additional features. Trigger this by clicking on the “BB” button. You get to make three big bet options, which vary at stakes; £20, £30 and £50. Enjoy Emperor’s Gold slot right here at Moon Games on your mobile, desktop or tablet! But there’s more, enjoy more Oriental themed games here like: 88 Fortunes slot, Thai Flower slot, The Legend of Shangri La slot, Fu Dao Le slot and loads of other themed slots.